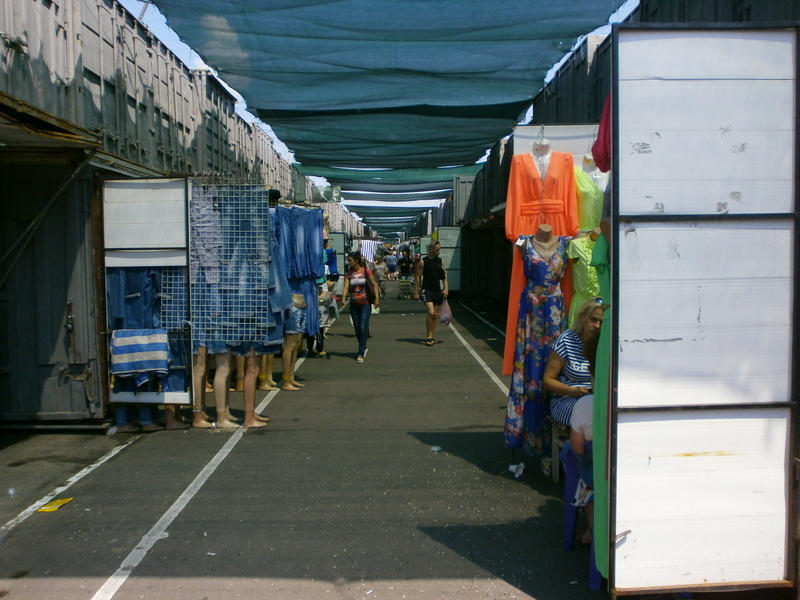 7th Kilometer Market is said to be the biggest market for wholesale and retail products in Europe. It’s located outside the city of Odessa, Ukraine. Traders, customers, market administration and police live by their own laws. This is a short and selective portrait of the market and its inner workings. Peter Obukhov, MP Odessa Oblast (Petro Poroshenko Bloc) talks about reforms, the armed conflict and geopolitics. Odessa, July 15. Local elections in Ukraine will be held on October 25. While side actors make their political infrastructure ready, others have completed the warm up. Not only Mikheil Saakashvili takes care of the beach area in Odessa. On July 21, Darth Vader (IPU, Internet Party of Ukraine) showed up at the coastline. Local media and this blog were supposed to conduct an interview the Supreme Commander. Kind of fun. While the military wing of Right Sector (PS, Pravyi Sektor) is holding the line in Eastern Ukraine, they are involved in fighting with local militia (police) in the West – according to information available at this point of time, it’s about cigarettes. Coding and construction of a weighted additive index in order to measure the degree of obstruction of OSCE/SMM’s freedom of movement and restricted access by parties in the Ukrainian conflict. Application with data of OSCE reports for the period of May 2015. Context (1), data (2), coding (3), index (4), graphics (5), experimental (6). On June 15, the press secretary of Right Sector Odessa (Pravyi Sektor) published on her official Facebook page a call for 14 to 18 year old ‘active boys and girls’ to join their ranks. If you come to passers-by on the streets of any Ukrainian city and ask what unites the pro-Putin Russians and the political movement «Pravyi Sektor» (Right Sector), I think not many people will answer this question. Nevertheless, there is something that they have in common! It’s intolerance to the LGBT community.